Scores 36 Highway MPG and 25 City MPG! This Honda Civic Sedan delivers a Regular Unleaded I-4 2.0 L/122 engine powering this Manual transmission. .* Stop By Today *Come in for a quick visit at Lujack Honda Hyundai, 3707 North Harrison St, Davenport, IA 52806 to claim your Honda Civic Sedan! Boasts 36 Highway MPG and 25 City MPG! This Honda Civic Sedan boasts a Regular Unleaded I-4 2.0 L/122 engine powering this Manual transmission. .* Stop By Today *For a must-own Honda Civic Sedan come see us at Lujack Honda Hyundai, 3707 North Harrison St, Davenport, IA 52806. Just minutes away! Boasts 37 Highway MPG and 29 City MPG! This Honda Civic Sedan boasts a Regular Unleaded I-4 2.0 L/122 engine powering this Variable transmission. .* Visit Us Today *A short visit to Lujack Honda Hyundai located at 3707 North Harrison St, Davenport, IA 52806 can get you a dependable Civic Sedan today! Delivers 37 Highway MPG and 29 City MPG! This Honda Civic Sedan boasts a Regular Unleaded I-4 2.0 L/122 engine powering this Variable transmission. .* Stop By Today *Test drive this must-see, must-drive, must-own beauty today at Lujack Honda Hyundai, 3707 North Harrison St, Davenport, IA 52806. Boasts 37 Highway MPG and 29 City MPG! 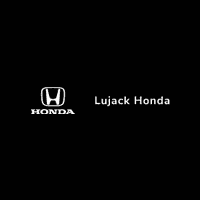 This Honda Civic Sedan delivers a Regular Unleaded I-4 2.0 L/122 engine powering this Variable transmission. .* Visit Us Today *Test drive this must-see, must-drive, must-own beauty today at Lujack Honda Hyundai, 3707 North Harrison St, Davenport, IA 52806. Scores 37 Highway MPG and 29 City MPG! This Honda Civic Sedan boasts a Regular Unleaded I-4 2.0 L/122 engine powering this Variable transmission. .* Visit Us Today *Come in for a quick visit at Lujack Honda Hyundai, 3707 North Harrison St, Davenport, IA 52806 to claim your Honda Civic Sedan! Boasts 37 Highway MPG and 29 City MPG! This Honda Civic Sedan boasts a Regular Unleaded I-4 2.0 L/122 engine powering this Variable transmission. .* Visit Us Today *Test drive this must-see, must-drive, must-own beauty today at Lujack Honda Hyundai, 3707 North Harrison St, Davenport, IA 52806. Scores 37 Highway MPG and 29 City MPG! This Honda Civic Sedan boasts a Regular Unleaded I-4 2.0 L/122 engine powering this Variable transmission. .* Stop By Today *For a must-own Honda Civic Sedan come see us at Lujack Honda Hyundai, 3707 North Harrison St, Davenport, IA 52806. Just minutes away! Scores 42 Highway MPG and 32 City MPG! This Honda Civic Sedan boasts a Intercooled Turbo Regular Unleaded I-4 1.5 L/91 engine powering this Variable transmission. .* Stop By Today *Test drive this must-see, must-drive, must-own beauty today at Lujack Honda Hyundai, 3707 North Harrison St, Davenport, IA 52806. Delivers 42 Highway MPG and 32 City MPG! This Honda Civic Sedan boasts a Intercooled Turbo Regular Unleaded I-4 1.5 L/91 engine powering this Variable transmission. .* Visit Us Today *A short visit to Lujack Honda Hyundai located at 3707 North Harrison St, Davenport, IA 52806 can get you a dependable Civic Sedan today! Scores 42 Highway MPG and 32 City MPG! This Honda Civic Sedan delivers a Intercooled Turbo Regular Unleaded I-4 1.5 L/91 engine powering this Variable transmission. .* Stop By Today *Come in for a quick visit at Lujack Honda Hyundai, 3707 North Harrison St, Davenport, IA 52806 to claim your Honda Civic Sedan! Delivers 42 Highway MPG and 32 City MPG! This Honda Civic Sedan boasts a Intercooled Turbo Regular Unleaded I-4 1.5 L/91 engine powering this Variable transmission. .* Visit Us Today *For a must-own Honda Civic Sedan come see us at Lujack Honda Hyundai, 3707 North Harrison St, Davenport, IA 52806. Just minutes away! Scores 42 Highway MPG and 32 City MPG! This Honda Civic Sedan delivers a Intercooled Turbo Regular Unleaded I-4 1.5 L/91 engine powering this Variable transmission. .* Visit Us Today *A short visit to Lujack Honda Hyundai located at 3707 North Harrison St, Davenport, IA 52806 can get you a dependable Civic Sedan today! Scores 42 Highway MPG and 32 City MPG! This Honda Civic Sedan boasts a Intercooled Turbo Regular Unleaded I-4 1.5 L/91 engine powering this Variable transmission. .* Visit Us Today *Live a little- stop by Lujack Honda Hyundai located at 3707 North Harrison St, Davenport, IA 52806 to make this car yours today! Scores 37 Highway MPG and 29 City MPG! This Honda Civic Sedan boasts a Regular Unleaded I-4 2.0 L/122 engine powering this Variable transmission. .* Stop By Today *A short visit to Lujack Honda Hyundai located at 3707 North Harrison St, Davenport, IA 52806 can get you a tried-and-true Civic Sedan today! New vehicle pricing includes all offers and incentives. Tax, Title and Tags not included in vehicle prices shown and must be paid by the purchaser. While great effort is made to ensure the accuracy of the information on this site, errors do occur so please verify information with a customer service rep. This is easily done by calling us at (563) 445-4302 or by visiting us at the dealership.